3 - IPLA, Corso Casale 476, I-10132 Turin (Italy). Ozone (O3) is the air pollutant of major concern for vegetation. Levels in Mediterranean cities may exceed the criteria for vegetation protection. Ozone may induce a number of plant responses, e.g., visible injury on the leaves, that affect the ornamental value of urban forests. Antioxidant application may protect sensitive plants from ozone. The most successful synthetic antioxidant is ethylenediurea (EDU). Here we set the optimal EDU dose and concentration (260 mg m-2 leaf, 450 ppm) for protecting adult Fraxinus excelsior trees from ozone visible injury by means of EDU applications as soil drench. Assessment of ozone effects on beech (Fagus sylvatica) by injection of a protectant chemical. Forest Ecology and Management 51: 129-136. Assessment of EDU stem injections as a technique to investigate the response of trees to ambient ozone in field conditions. Agricultural Ecosystems and Environment 59: 33-42. Stem injection of Populus nigra with EDU to study ozone effects under field conditions. Environmental Pollution 111: 199-208. Ozone and broadleaved species. A guide to the identification of ozone-induced foliar injury. Paul Haupt Verlag, Bern, pp. 136. Biomass increment and carbon balance of ash (Fraxinus excelsior) trees in an experimental stand in northeastern France. Annals of Forest Science 61: 577-588. 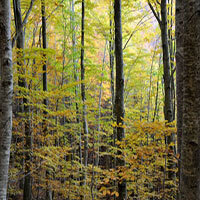 Ozone impacts on forests. CAB Reviews: Persp. Agri. Vet. Sci. Nutr. Nat. Resources 2 (68): 13. Ozone and urban trees in Italy. Environmental Pollution 157: 1506-1512. Ethylenediurea (EDU) affects the growth of ozone-sensitive and tolerant Ash (Fraxinus excelsior) trees under ambient O3 conditions. The Scientific World Journal 7 (S1): 128-133. Gravitational infusion of ethylenediurea (EDU) into trunks protected adult European ash trees (Fraxinus excelsior L.) from foliar ozone injury. Environmental Pollution 145: 869-873. Protection of ash (Fraxinus excelsior) trees from ozone injury by ethylenediurea (EDU): roles of biochemical changes and decreased stomatal conductance in enhancement of growth. Environmental Pollution 155: 464-472. Use of the antiozonant EDU to protect vegetation under Mediterranean conditions: case studies from Italy. Environmental Pollution 157: 1453-1460. Deciduous shrubs for ozone bioindication: Hibiscus syriacus as an example. Environmental Pollution 157: 865-870.